We have prepared a pair of new AWS Quick Start Reference Deployments for you! As is the case with all AWS Quick Starts, they help you to deploy fully functional enterprise software the AWS cloud in no time flat! Each of the reference deployments includes a AWS CloudFormation template that follows best AWS practices for security and availability. These templates can be used as-is, customized, or used as the basis for solutions that are even more elaborate. Trend Micro Deep Security is a host-based security product that provides intrusion detection and prevention, anti-malware, host firewall, file and system integrity monitoring, and log inspection modules in a single agent running in the guest operating system. 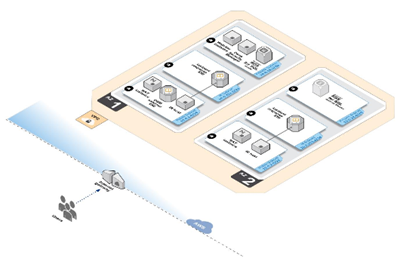 The Quick Start (Trend Micro Deep Security on the AWS Cloud) deploys Trend Micro Deep Security version 9.5 into an Amazon VPC using AMIs from the AWS Marketplace. It includes a pair of templates. 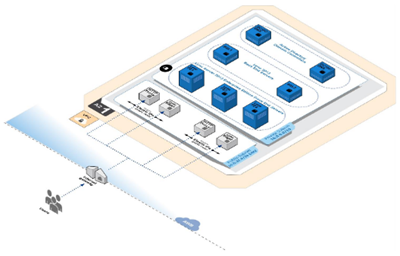 The first one provides and end-to-end deployment into a new VPC; the second one works within an existing VPC. Lync Server 2013 is a communications software platform that offers instant messaging (IM), presence, conferencing, and telephony solutions for small, medium, and large businesses. The Quick Start (Microsoft Lync Server 2013 on the AWS Cloud) implements a small or medium-sized Lync Server environment. This environment includes a pair of Lync Server 2013 Standard Edition pools across two Availability Zones for high availability.